Rochester Library Book Group Facilitator Opportunity! 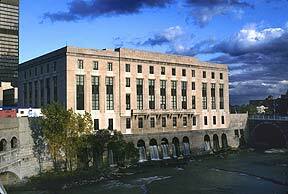 Staff at the Central Library of Rochester and Monroe County (the Downtown Library) are in the process of applying for a grant through the NY Council for the Humanities. It plans to hold a series of book discussions for adults on the topic of “Muslim Journeys”, and they are looking for a scholar facilitator to lead the book discussions. We think this might be something an SBAI affiliated faculty member or student might be interested in doing. The position pays $150 per discussion session and the Library plans to host either 4, 5, or 6 sessions. The Grant application is due this Friday, December 13th. If, after looking at the Call for Applications below, you are interested in the position, contact Anita Wahl at 428-8053 or email anita.wahl@libraryweb.org right away. Please share this information freely. They are leaning towards “Women’s Voices,” but the scholar facilitator could choose any one of these. The NYCH would offer a list of books to select from and the scholar facilitator would help create the syllabus from the books offered. The scholar facilitator would also be asked to attend a webinar training session and to write a brief report at the end of the program. The Council would supply all the books for both facilitator and participants. These grant programs normally run February through June, but the Library would be asking for an extension into July in order to have the Muslim Journeys program coincide with an amazing exhibit that will be up in the Library from June to September, when we will be displaying about 260 artist books from the Al-Mutanabbi Street Starts Here coalition. The founder Beau Beausoleil will be our keynote speaker at the opening reception. This collection travels the world and we are very honored to bring it to Rochester. The Muslim Journeys book discussions will be a nice complement to this exhibit. Anyone who is interested in the position of scholar facilitator for this program should contact Anita Wahl at 428-8053 or email anita.wahl@libraryweb.org. The grant application deadline is THIS FRIDAY, December 13th. We apologize for the short timeline, but were just given the go-ahead to apply. Central Library is taking a proactive role in our community to “bridge” cultural differences and encourage dialogue. Help us start the discussion!